Whether it’s a face-lift to an existing web site, or your debut web presence, your organization deserves to put its best foot forward on the internet. Let us assess your needs and provide dynamic, memorable and tasteful web designs. 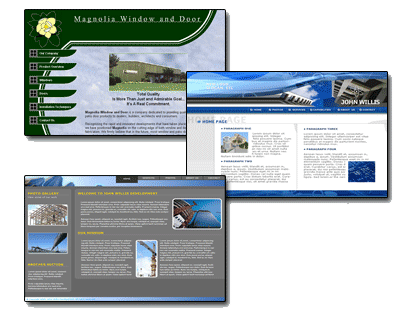 We take a very special approach to the opportunity to design your web site. We understand that a web site is more than a collection of images and texts, it’s your internet presence and online brand. In many cases, it will be the first impression your prospective clients and associates will make of your organization. With that in mind, our approach is to start with an assessment of your vision and goals before a single pixels is put in place. We then match your expectation with the best design, content and technology to reach your audience. We can translate your existing designs and brand into the language of the, or create an entirely new and exciting face for you to show the world. What tools and features do you need to optimize and maintain your web site? Form Processing; allows your visitors to transmit data, submit information and communicate with you quickly and easily. Blogs & Social Networking; take your web site to the next level of the web by connecting with the internet community like never before. Google Integration; use the power of the most powerful search engine on the planet to enhance your web site.